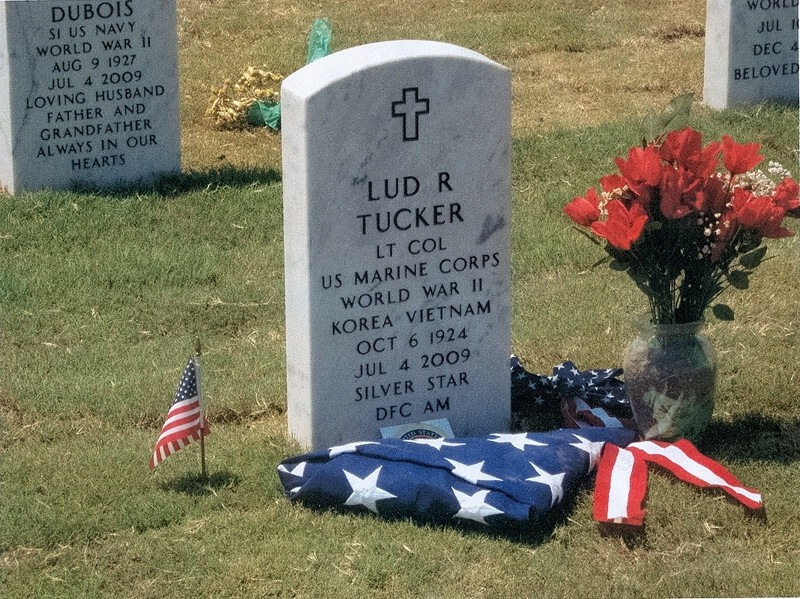 Uncle "Ziggy" Lt. Col. Lud Roten Tucker, buried at Fort Sam Houston, Texas, his home. He retired from the Marines with 26 years, was in WWII, Korea, & Vietnam. He was a Fighter pilot in all 3 wars, to include being in the very first Helicopter extraction unit, VHX-1, in Korea, then, while in Korea, transitioned into jets. His 3 tours in Vietnam included flying choppers as well as jets. He earned, no joke, every medal from the Silver Star on down, that the Marines have, including 11 citations for Gold Star devices. Yes, 11 (eleven) Gold Star devices; more than you can wear. I have his military files which are 451 pages. An incredib;le carreer, from an incredibly humble man. We all love and miss you Uncle Ziggy........RIP on the Wings of the Angels.